PGS-V15-V16 is a significantly updated and improved version* of our acclaimed "original" PGS. 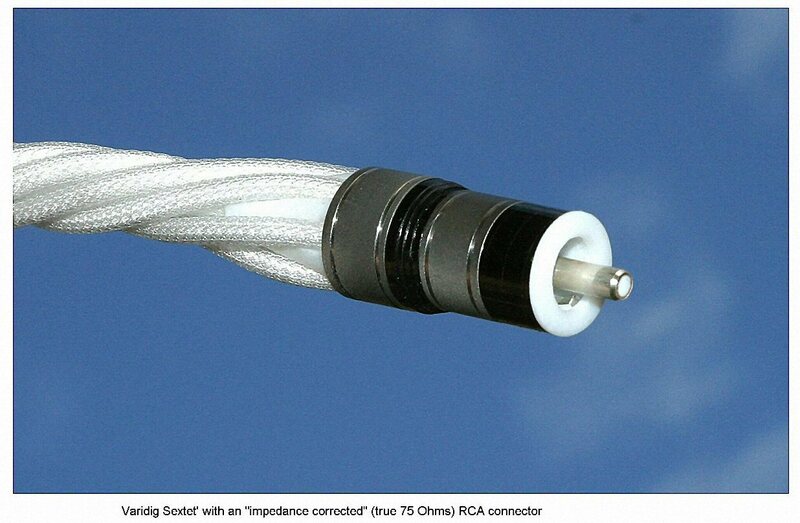 The PGS V16 is thicker (larger in diameter) than before (i.e PGS-08), making the V16 cables more robust, and reducing the capacitance by approximately 20%. The inside geometry is the same as before. But the signal wire is different: a proprietary layered alloy (gold-Molybdenum-Ruthenium), and the new PGS V16, while retaining the original “sweet” sound (related to the gold conductive material) - is now closer to “neutral” sound, as the new allow mostly removes the coloration in the upper-treble, which has been a single small drawback of the pure gold wire used in the “original” PGS and the PGS-08. The PGS-V16 cables have individual serial numbers. The PGS-V16-T has a STEALTH tuning collar**, the PGS V16 (without the "T") doesn't have that collar. Except for the tuning collar, the V16 and the V16-T are identical. Shown below is the PGS-V16-T with RCAs. 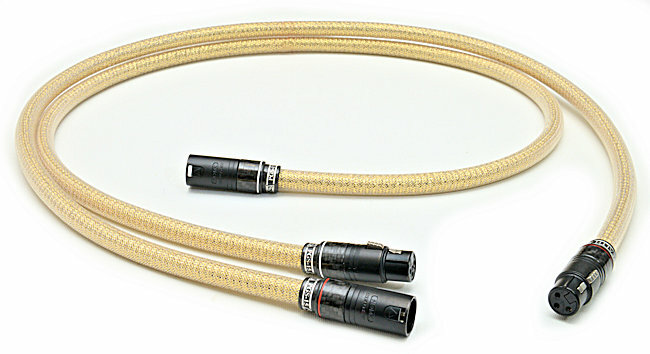 The RCA connectors for the PGS V16 and PGS V16-T are Rhodium plated, with carbon locking collars. 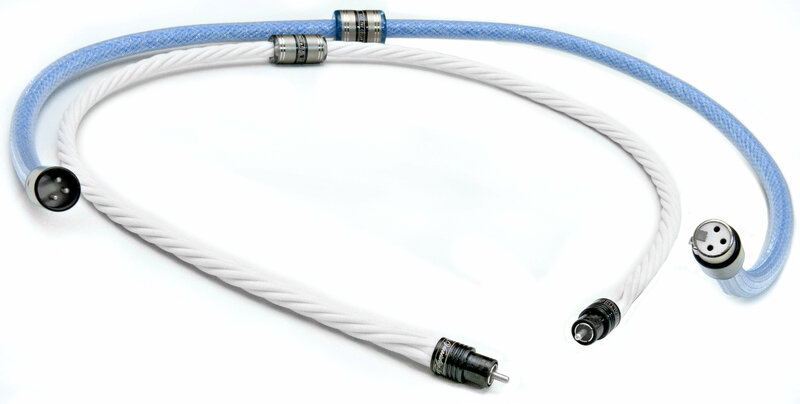 The standard PGS V16 RCA retails for $1,300 in 1 meter, $560 per each extra meter (without the sliding collar). 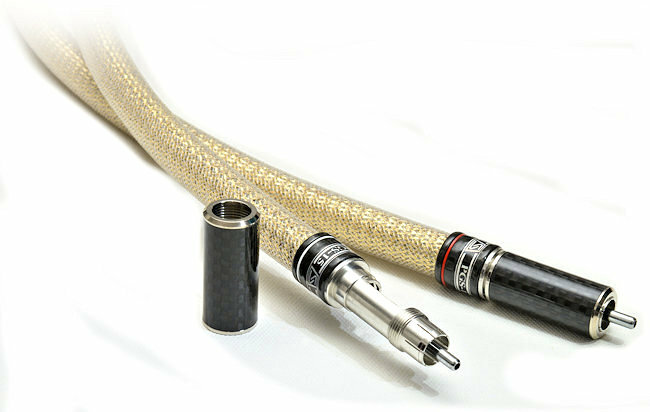 The standard PGS V16 balanced XLR retails for $1,660 in 1 meter, $740 per each extra meter (without the sliding collar). Why using gold while silver is more conductive?!!! Unlike it is in the loudspeaker cables, in phono and line-level interconnects conductivity of the wires has not much to do with the sound quality - but oxidation, impurities, internal grain structure and GEOMETRY of the conductors have. Plus, some qualities of the dielectric used to insulate the wires ARE very important to the sound. Silver oxide IS highly conductive (unlike copper oxides) - but silver is easily polluted with Sulfur and - when "infected" by these other elements (from the outside air or from a contact with human skin) and when polluted, silver loses conductivity, uniformity and "plasticity". It's not a problem with thick silver wires or contact surface, but it IS a real problem with extremely thin wires or silver foil used in interconnects. However, thin wire is fragile. Plus - it is VERY difficult to make a very thin silver wire of high purity - since despite of using special measures, it gets terribly polluted in the production process. It is possible to get a chunk of silver of 7N (seven nines) purity (i.e. 99.99999 pure) - but when a thin wire is made of this silver, the wire will have only 99.9 purity or worse. It is close to impossible to make pure enough thin copper wire either. Plus, a very thin wire "ages" very quickly and becomes even more fragile with time. So, the wire must be VERY thin and VERY pure to sound good. But - it's close to impossible to make thin enough and pure enough silver (or copper) wire. Back to the dielectric. Vacuum is best. Air is almost as good. Teflon is best of solid dielectrics (because of the fast charge/discharge characteristics = less energy storage = better transient response). Foamed Teflon is better than solid Teflon (since it contains air bubbles). The more air - the better. But - how to protect our thin silver or copper wire if it 's surrounded by a lot of air? PGS - "Pure Gold Signal": a single, very thin (0.004" in diameter), 99.99% pure gold signal conductor, surrounded by porous Teflon® insulation, and a complex cross-wrapped "return" (multiple thin strands). PGS was beta-tested in 1999 and was in production since December 1999 until April 2002 (when it was replaced with the PGS-XL). Please check the latest reviews and customers' feedback on the PGS interconnects. The PGS interconnects do some things better than I have ever heard from another interconnect. Its midrange is liquid and provides the best reproduction of harmonic structure in this range that I have ever experienced - even with the Transparent Ultra XL..."
"...The PGS is truly remarkable! I can't find words strong enough to convey my amazement at what it did for my sound. The sense of instruments blending together, yet each being separate and distinct, and of dynamics, with sounds jumping out at me but just in due measure, as they would in a live performance, was a source of great listening pleasure. This gold interconnect gave me the most involving music my stereo system has ever achieved. It too has a distinctive "voice", but I wouldn't call it light or dark, just beautifully balanced... Among all the STEALTH cables I've auditioned, the gold is the undisputed champion on detail. Any "softness" is simply a refusal to overemphasize highs. This gold interconnect also strikes me as handling transient decay better than any other I've used. This may be a key factor for realism and naturalness, as important as good handling of transient attack. The pleasing silence that closely follows a transient is unique in my listening experience. ...The PGS middle and upper range is very smooth and exquisitely detailed. Female voices sound especially lovely. 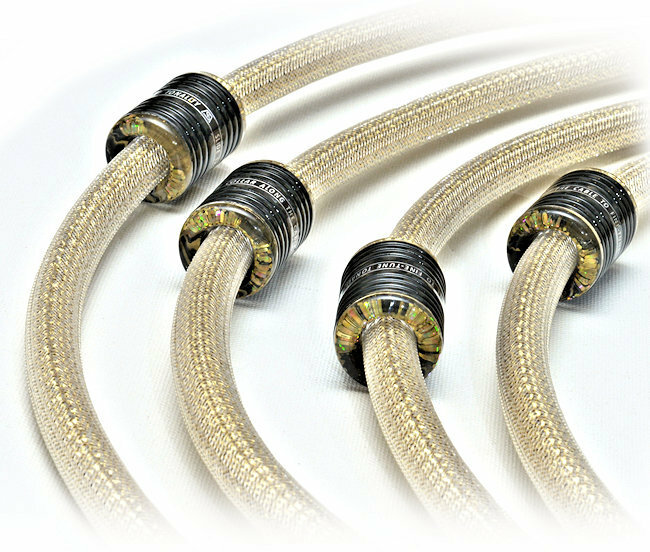 "... My first impression of the STEALTH 99.99% GOLD interconnect cables was that they were very well made. Workmanship was first class! When plugged into my system, Wow! I could instantly notice the improvement in the vocal, i.e. more nuances and vividness..."